See what real people say about using GoFundMe for their crowdfunding needs. GoFundMe has been an amazing tool in helping raise funds for such an uncertain and unexpected event that happened to us. It not only brought the necessary help we needed, but it helped us have a broader outreach to not only our local community, but to the broader world. I was able to set up a GoFundMe account for a friend who's child was experiencing significant medical issue. Through the GFM website every friend and relative had the opportunity to both contribute and personal express their support and well wishes! The process was a smashing success! What a great program! With GoFundMe and by reaching out through social media we were able to raise more than $21k in just over 4 days. Thank you GoFundMe! I could not be happier with your service. I needed to raise money quickly and I did. Even though my outcome was not what I wanted. To me your service was invaluable. I was nervous about asking, GoFundMe made it easy, and my friends and family made me humble and grateful. The site is awesome. Easy to set up and easy to get the funds raised for the needed. And they don't rob you by taking a lot to use them, great program. This was my first experience with GoFundMe and I am amazed at the success in just one day! All our employees shared the link with their contacts and the results were awesome! Amy is very special to all of us and having this to help her after losing everything in the fire was perfect!! It was so easy to set up and manage, a great way to help people!! I have enjoyed using GoFundMe as a platform to help me in meeting my ongoing cancer costs. It has been an extremely amazing time working with GoFundMe. It has allowed us to get the funding to take our product to a real functional app. I’m so grateful for GoFundMe and I know my family is greatful for this platform as well. Just knowing that this platform cares about people’s stories and knowing that people have hardships is amazing to see. I don’t know what I’d do other wise. I’m so glad to have something that gets my grandma excited when she sees people donating, it gives her hope in this hard time. Benjamin HardySend MBS Robotics to the FIRST Lego League Worlds! I started a GoFundMe after some other fundraising sites didn't quite work out. It was the best decision I could have made! So simple, and so effective, I can't thank you enough. 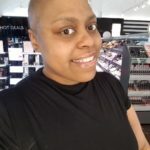 I am overwhelmed by the amount of participation and how easy the go fund me page is to help reach out to people I normally wouldn’t be able to reach out to. Deana BistodeauBroken fiddle needs help! Fantastic. Absolutely a great resource in a time of need. Thank you very much. Our blog covers everything from strategies to double your donations to crowdfunding guides to help you set up your fundraiser for success. What sets GoFundMe apart from other platforms? No platform fee and free resources for crowdfunding success.